The Retired and Senior Volunteer Program (RSVP) engages persons age 55 and older in activities which meet community needs and is one of the largest volunteer efforts in the nation. RSVP volunteers have been serving in our communities since 1973 enriching the lives of us all. Forty community Volunteer Stations/Agencies and hundreds of volunteer assignments to choose from. While serving volunteers are covered by additional/supplemental insurance at no cost to the volunteer or Volunteer Station. Volunteering and civic engagement are the cornerstones of a strong nation and a strong community. Volunteers are shown to have higher levels of happiness, life-satisfaction, self-esteem and a sense of control over their lives. Psychological and physical health is often improved with volunteerism. Resumes can be strengthened when a history of volunteering is noted. Volunteering demonstrates a commitment and willingness to work for the betterment of communities. RSVP at Clinch Valley Community Action, Inc. works to link the skills and life experience of volunteers with identified community needs. Current needs show a need for volunteer service to help frail elderly and disabled citizens safe in their homes, Veterans and their families, disaster preparedness, and capacity building (fundraisers) for community service organizations. In-home services include meal preparation, light housekeeping, making appointments, yard work, small home repairs, fixing hair, gathering mail, transportation to medical appointments and shopping, and a host of other services. Veterans and their families also need in-home services and transportation. Disaster preparedness activities for our most at-risk citizens, the disabled and frail elderly, are another community volunteering priority. Dozens of area food pantries and food banks, Veterans organizations, missions, civic organizations and more depend upon RSVP volunteers to help provide fundraising activities to fund their projects that serve the low-income and at-risk community citizens. These funds provide food for families, help with utilities, clothing, rental assistance, fuel assistance and much more. 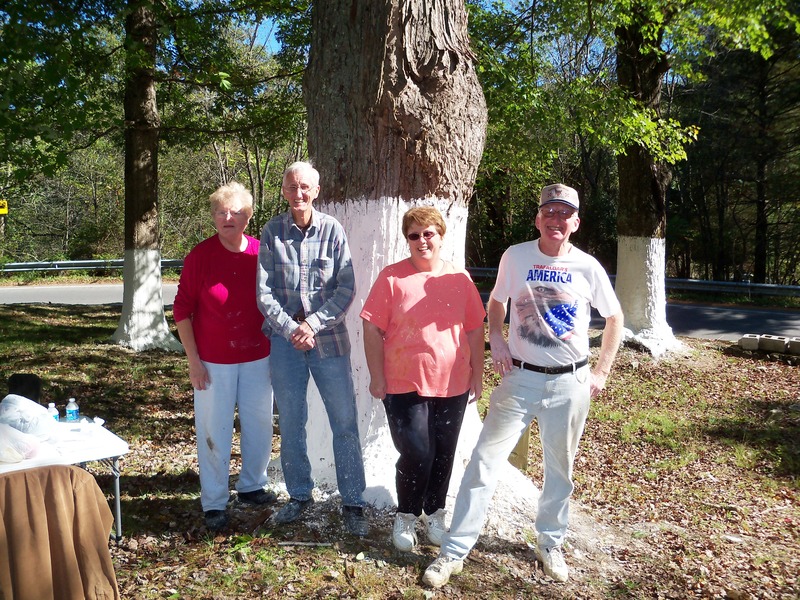 Volunteers also serve in activities for economic development, education, crisis services, hospitals, environmental education, nursing homes and assisted living centers, arts and historical preservation. 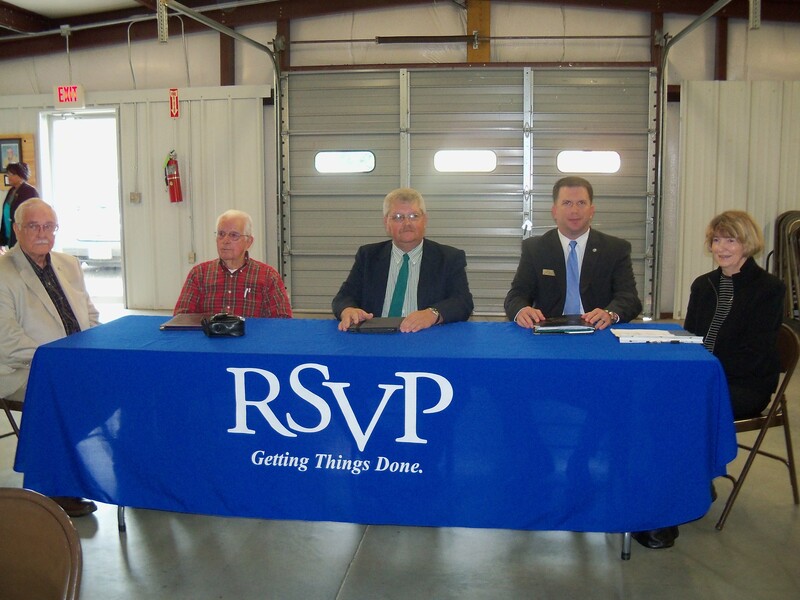 Funding for RSVP comes primarily from The Corporation for National and Community Service. Funding is also received from the Tazewell County Board of Supervisors. CVCA’s RSVP program currently has 220 active volunteers serving in 40 Volunteer Stations across our communities. In the past year they served over 37,391 volunteer hours providing almost one million dollars in value (2016 Virginia Volunteer Rate) with their free and committed services. Almost one-half of the program’s volunteers provided Independent Living services helping to keep hundreds of disabled and frail elderly citizens at home where they wish to be. RSVP volunteers provide generations of experience making their experience count in our communities every day. You too can make a significant difference by becoming an RSVP volunteer! Disasters happen whether or not we are prepared for them. Tazewell County has seen disaster level flooding events in 2011, 2012 and most recently, in July of 2015. These disasters have resulted in the loss of homes, businesses, cars, pets, personal possessions and a life. Areas such as Tazewell County that are not traditionally affected by hurricanes are less likely to have a population with strong disaster preparedness plans in place. This is especially true with elderly and disabled households. In 2010, the National Institute on Disability and Rehabilitation Research and the U.S. Department of Education conducted research titled, Disasters, Evacuations and Persons with Disabilities, reported thatpersons with disabilities and their households in states not impacted by hurricanes are also less likely to be prepared to evacuate. Emergency management and disability service providers in states with floods, wild fires, and industrial disasters will need an even higher level of preparedness to assist persons with disabilities in evacuation, compared to other states. 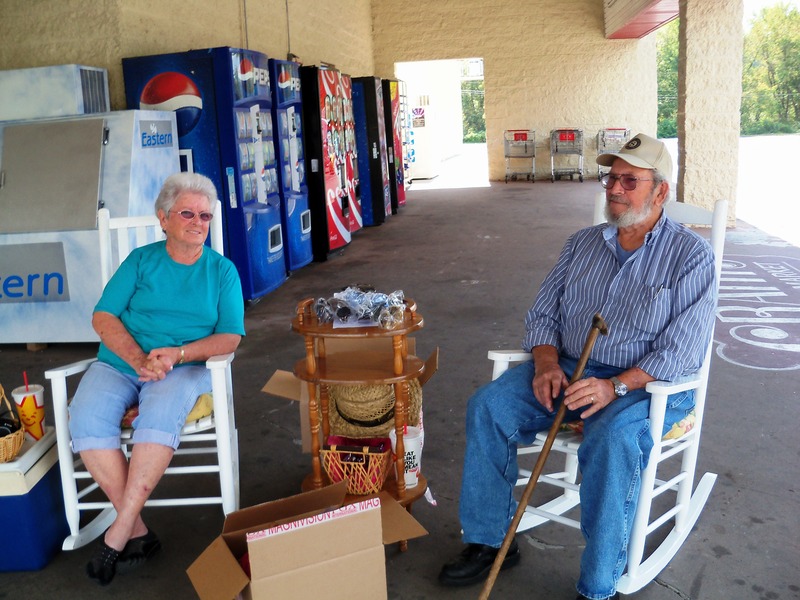 The Retired and Senior Volunteer Program (RSVP) at Clinch Valley Community Action, Inc. found this lack of disaster preparation to be true in Tazewell County when trained volunteers provided the Be Red Cross Ready program to over 500 seniors. As a result, RSVP invited emergency service providers, law enforcement, senior and disabled service providers, and other community and government service providers to help address the lack of disaster preparedness with the disabled and the frail elderly population. This group became the Tazewell County Senior and Disabled Citizens Services Council with a goal of identifying the location and the special needs of these at-risk citizens. With these goals in mind, the council developed a program focused on registering the special needs of eligible disabled or frail and elderly citizens in the Tazewell County E-911 system. Delores Stilwell joined the council and shared her knowledge and emergency management experience in creating a similar registration in the Richmond area. Over a three year period, the council worked to create the process for registration while working closely with Tazewell County Administration, Tazewell County Sheriff’s Office and E-911. The registration is called Special Needs In Disaster or SNID. The Far Southwest Virginia Hospital Coalition has graciously provided support for several SNID marketing materials. The registry has trained volunteers and service agency representatives that will help eligible individuals and families register in the SNID program. The registry is for anyone, of any age, who would have difficulty evacuating on their own. They may use special equipment or need physical help to be able to evacuate safely. This could include also those who have great difficulty walking, are confined to a bed, temporarily disabled, have developmental delays, psychiatric disorders, severe Diabetes, or have hearing or visual impairments. This is a voluntary registration and the information collected will be kept confidential. In the event of a disaster, E-911 will provide the information to county, state and federal agencies (and volunteer groups like the Red Cross). A special ceremony was held at the Tazewell County Sheriff’s Office to launch SNID in January 2017. “We are very pleased that the RSVP program spearheaded this important project that we can integrate into our 911 systems and work together to save a life!” said Sheriff Brian Hieatt. Many of the council members and the disaster management community praised the efforts of all involved and were happy to have SNID up and running. Anyone interested in the SNID program can contact the RSVP program at Clinch Valley Community Action, Inc. at 276-988-5583 or email snidinfo@clinchvalleycaa.org.